The second edition of the Bologna Ambassadors project is took place at 6 pm on 7 February at Oratorio di San Filippo Neri in Bologna. During the event, awards were presented to the fourteen personalities who won this prestigious prize. The project targets influential personalities from the city’s academic, medical, scientific, professional, business and institutional world, who are concerned with putting Bologna forward to host a future conference or other kind of event. 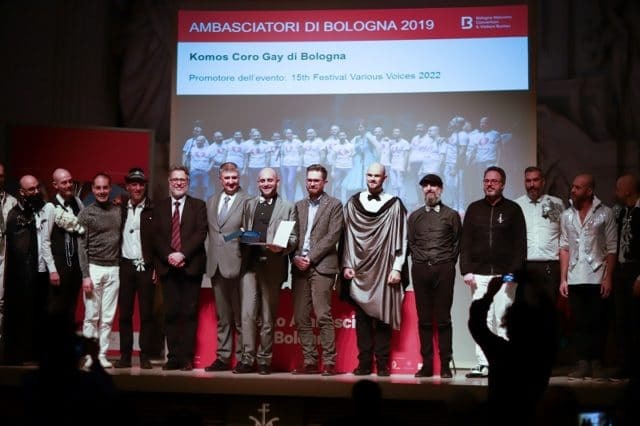 The city’s Councillor for Culture, Tourism and Promotion, Matteo Lepore, spoke at the ceremony about the importance of the MICE sector for the economic development of Bologna and about the institutions’ tourism policies to work on the appeal of the local area. The programme also includes talks by the President of Bologna Welcome, Celso de Scrilli, and by the Vice-chancellor of the University of Bologna, Prof. Antonino Rotolo.